Carp and saltwater flats fishing? Some may scoff at this idea, but let me explain. I was casting flies to carp decades before it was cool. I learned a great deal from fly fishing for carp around the slack-water channels and flats of Idaho's Snake River. Fly Fishing for carp also helped me become a better saltwater flats angler. Feeding carp typically cruise the shallows feeding on plants and creepy-crawly organisms near the bottom. When you correlate this to saltwater flats fishing for bonefish and permit, it can be strikingly similar. The main difference is the speed of a carp is almost always slow and methodical while bonefish and permit often swim fast and erratic. The speed may be different, but it's a similar game of casting to a point in front or near a moving target without alarming the fish, then fishing or stripping the fly in front of the fish's face or within it's view. In my experience, a carp will not deviate more than a foot or two from its direction to inspect a fly, yet I have seen bonefish and permit change their path several feet to inspect and/or eat a fly. When you calculate your cast, timing and the trajectory a fly will intercept a fish, it helped me fine tune the skill needed on a salwater flat. I believe fly fishing for carp can be worthwhile for any angler trying to up their saltwater flats game. 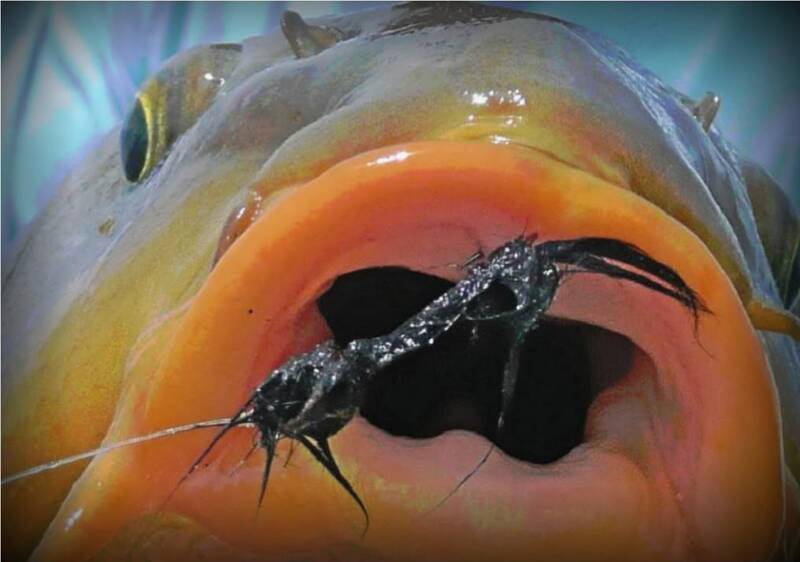 That magic moment when a fish eats a well-placed fly can show up in many forms. 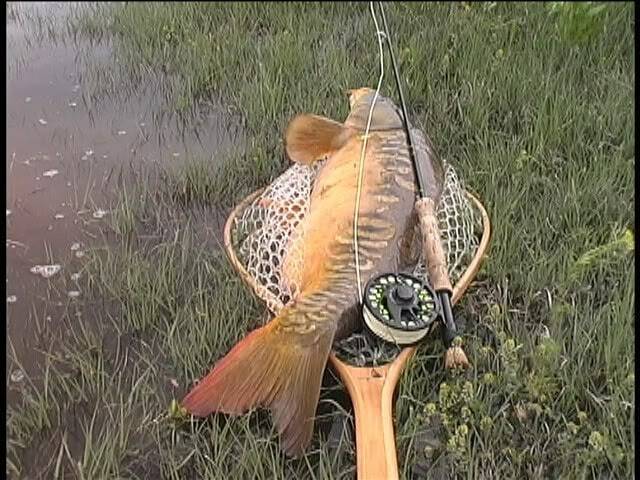 I key on the carp's speed while it is feeding and swimming, as well as its motion and speed before it stops to eat. Learning their behavior is the name of the game carp fishing, as well as bonefish or permit. Once any of them identifies a fly as potential food, they will close the gap to inspect it, at which point it becomes a cat-and-mouse game between the angler, fly and fish. If you strip a fly too fast, you may scare the fish, or it may lose interest. If you strip a fly too slow, or stop it completely, the fish may lose sight of it and/or lose interest. Be it carp fly fishing or for bonefish and permit, a combination of stripping or jumping a fly at various speeds and timing or even letting it set is going to take some finesse. Reacting to what the fish is doing and enticing it to eat is the true art form for carp and saltwater flats fishing, or any other sight fishing. It has been the most rewarding and frustrating part of the game, and even when you think you have it figured out, the fish often decide otherwise. Learning to hook carp is a great way to master this aspect of saltwater flats fishing. Carp are easily frightened as are bonefish and permit, and these fish will not eat a fly when they sense danger. It takes discipline and planning to avoid spooking them. Getting into a position where you are concealed in order to make an accurate cast takes practice and patience. Detecting fish before they detect you is part of the game. If you cast before you see a carp, bonefish or permit, chances are you will alert them. When one of these fish flee, other fish in the area are then alarmed to the danger. Learning how to spot fish in less-than-perfect conditions takes time on the water, and fly fishing for carp under those conditions will help you see and detect more fish on a saltwater flat. Carp are typically large, and don't blend in as well with their surroundings as bones and permit, which rely on natural camouflage for protection. 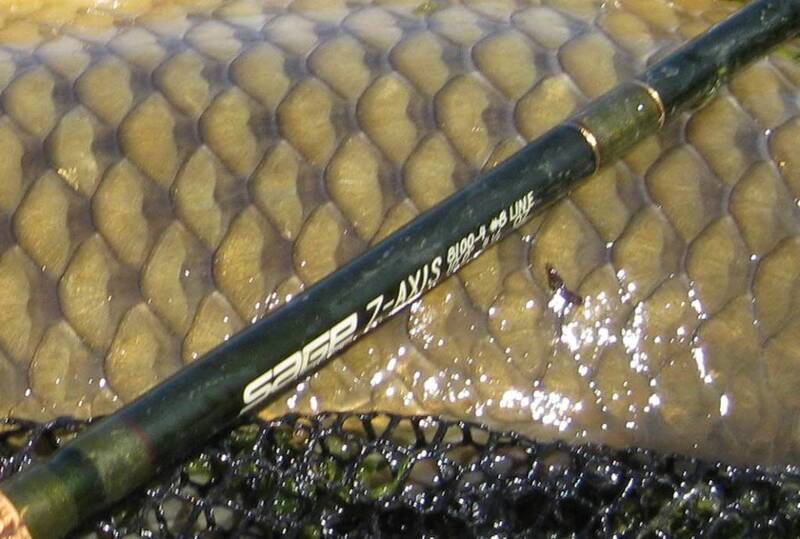 But spotting a carp beneath rippled water is no easy task and will prepare you for spotting flats fish. 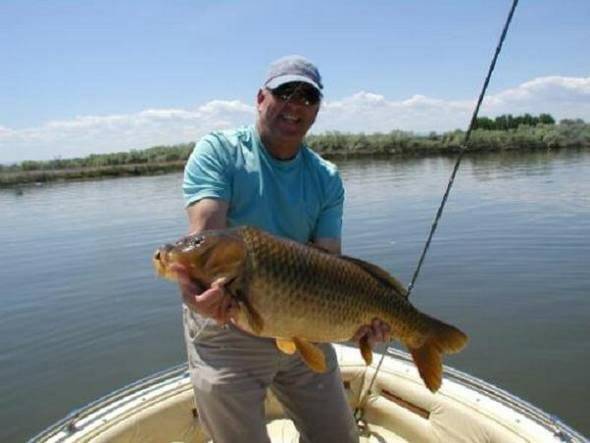 Fly fishing for carp is a practice with your saltwater rod, line, leader and reel that you may only use once a year. It's also an opportunity to dial in your casting skills and making sure you have your double haul and accuracy honed so it's second nature and you can rely on muscle memory when you hit the flats. Setting the hook on a saltwater fish requires learning how to strip-set, and you can read another Hobo Fly Fishing article about it here. I have found that in order to avoid my trout-setting reflex, a few trips fishing for carp before a saltwater flats trip is just the class I need to attend. Not only is a strip set a better way to drive a hook into a fish mouth, it will also keep the fly closer if you pull it away from the fish, and it just may give you a second or third chance at a hook up. If you revert back to a trout set while fly fishing for carp its an inconvenience, but if you do it on a saltwater flat and miss a fish, it may feel like the end of the world!